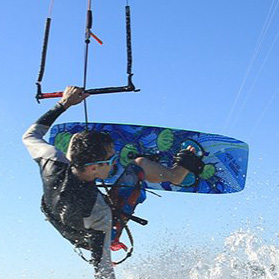 Do-all and entry level kiteboarding and kitesurfing boards come in different shapes and sizes. Size. Use a larger size board until you advance in the sport. Personality. A board that is stable and forgiving, not edgy and temperamental. Shape. How a board is shaped makes a big difference in how a board rides. Life. The ability to grow with you as you advance. Never grow tired of riding.